Lovely Day By The Athabasca River is a painting by Colette Richard which was uploaded on October 7th, 2010. 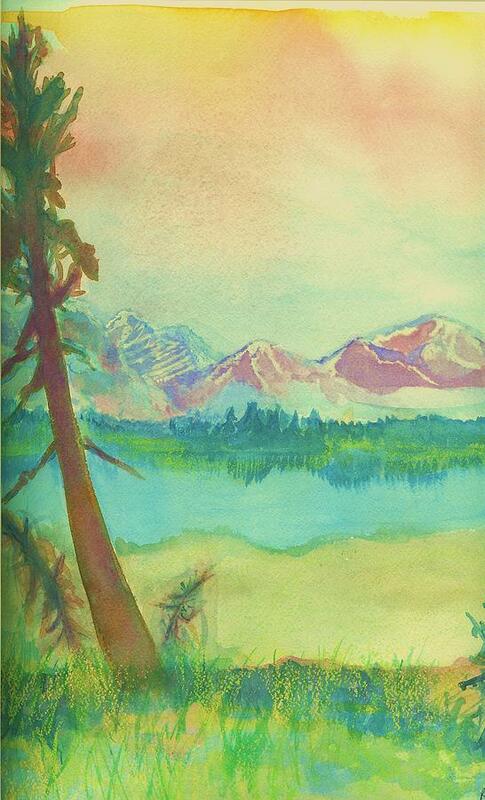 This Watercolor painting was done while I sat next to the Athabasca River, in beautiful Jasper National Park, Alberta Canada. Im not quite sure how I landed up with all these colors, or how I got them, it just felt good at the time. I also, on a gut feeling, used acrylic in it....and WOW, was amazed at the results, it truly captures the beauty of the park.